Our UK TV awards may be done and dusted for another year, but in the US the Emmy nominations are now shining a light on quality television once again. The British have reason to celebrate with Idris Elba, Tom Hiddleston and Benedict Cumberbatch picking up nods for Luther, The Night Manager and Sherlock respectively, as well as UK favourite Olivia Coleman getting a Supporting Actress nomination for her turn in The Night Manager too. 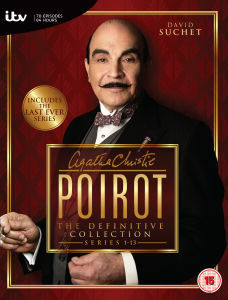 Now here’s a project for you – re-watching every episode of Poirot from start to finish. Granted, it’s not that much of an ask because as we all know, there’s nothing more comforting or British than settling down with a Poirot mystery on a rainy Sunday afternoon. And the fact that we find murder comforting isn’t disturbing in the slightest. 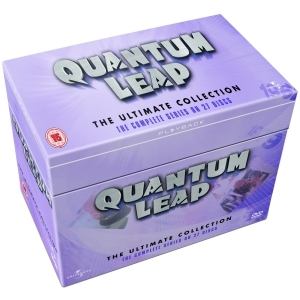 There have been rumours of a revival for a long time now, but until that materialises, why not revisit the original series? Guaranteed creepy viewing, this American classic hasn’t lost any of its eeriness or edge and should be accompanied at all times by a damn fine cup of coffee and slice of cherry pie. There are many great things about The Office, not least the fact that, unlike its American counterparts which go on for several very lengthy series, you can watch the UK version from start to finish in one day. Not that we’d complain if they made any more, but in the meantime, invest in your own copy of this British comedy classic. Another show that was gone too soon, this remains a 90s classic and has been voted one of the country’s favourite sitcoms of all time. So if you fancy owning your own piece of Craggy Island, we highly recommend adding it your collection. With the recent sad passing of co-creator Caroline Aherne, it’s time to return to the front room of the Royale’s, take your place on their already crowded sofa and remind yourself what made this ground-breaking comedy so fantastic. Just make sure you have your brew to hand. 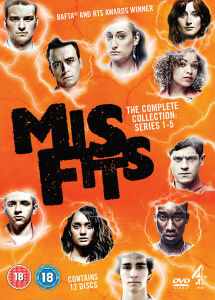 This E4 comedy drama made waves when it landed on screens a few years back and it has all the makings of a modern classic. After a group of teenagers on community service develop superpowers they discover just how tough life can be with all that extra responsibility. Did anybody really understand what was going on by the time Lost came to an end? We certainly didn’t, but what better excuse to watch it all again. This time, try not to lose track of what the heck is going on. Yep, good luck with that. This Captain America spin off only lasted two series, but if you didn’t get a chance to catch it when it was on, here is your chance, because as far as we’re aware, it’s not available on any of the main streaming services right now. 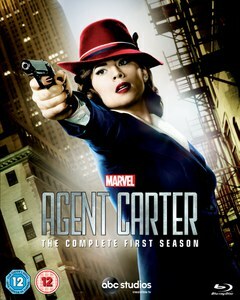 Follow the adventures of Peggy Carter as she navigates simmering troubles in 1946, this is must-watch for any Marvel fans. So that’s pretty much everyone then. Along with these great store you can also look at Amazon and maybe even use our top tip for saving with Amazon. 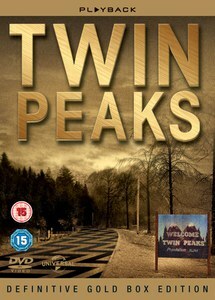 Great TV is always something to be celebrated, so if your DVD collection’s been somewhat neglected of late, why not pick up a boxset or two and indulge in some modern and retro classics this Emmy season?